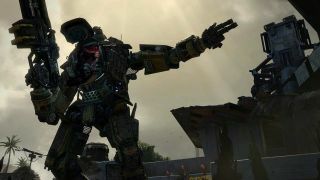 Titanfall has certainly lived up to the hype and has even encouraged sales of the Xbox One - but the numbers still don't beat out Sony's PS4. Microsoft announced that the grunt-stomping, action packed robot game Titanfall was March's best-selling game. It did so well that the Xbox One has even sold 5 million consoles since launch, with spikes during Titanfall's release. Microsoft even sold more next-gen consoles "outpacing Xbox 360 by more than 60% at the same point in time." Though 5m is a hefty number, the recently updated PlayStation 4 still has the upper hand with 7 million consoles sold as of April. These numbers will likely only rise with the impending arrival of Ubisoft's Watch Dogs game and Project Spark in addition to E3 where more new games will definitely be announced. Not everyone likes consoles though - in fact, PAX East 2014 attendees seemed to prefer another system altogether.